Love your bathtime? You’re not alone. Meet some animals who love making a splash. 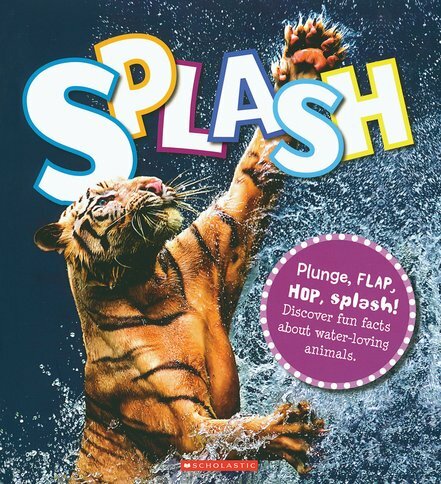 That’s right: it’s a whole joyous fact book all about the fun of getting wet. Splish! Splosh! Paddle! Lots of animals like water. Bathing, swimming, diving: they think it’s great! Not only that, but some of them have clever abilities to help them survive in the water. Polar bears plunging into the chilly Arctic Ocean. Asian elephants taking a cool river dip. This easy-read book is packed with amazing facts – and funny photos of very soggy critters! NC880L Lexiles are the global standard in reading assessment. They are unique as they are able to measure a child and a book on the same scale – ensuring the right book gets to the right child at the right time.